How can Ukraine reduce the state-owned share of the country’s banking sector? 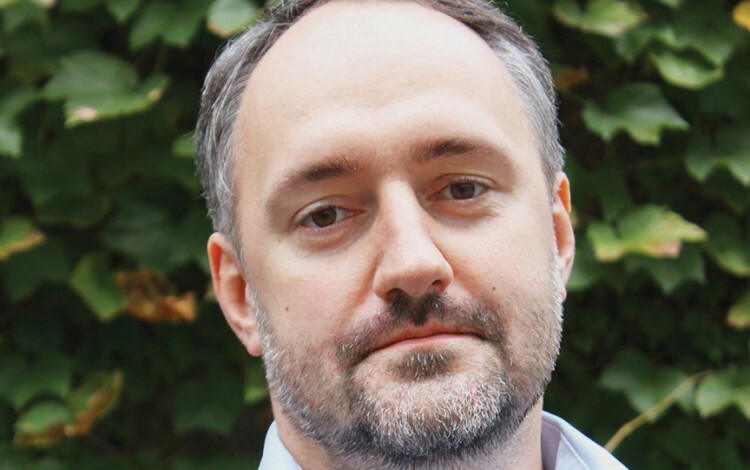 About the author: Dmytro Yablonovskyy is Deputy Director at the Center for Economic Strategy and an economic development expert at Reanimation Package of Reforms, Ukraine’s largest civil society coalition uniting 83 NGOs and over 300 experts. The December 2016 nationalization of Ukraine’s largest commercial bank PrivatBank brought the state-owned share of the country’s banking sector to more than 50%. As a result of this development, the Ukrainian authorities set about updating strategic plans for the management and ultimate full or partial selloff of these state-owned banking assets. A new strategy was approved in February 2018, creating a roadmap for the future of Ukraine’s four state-owned banks (PrivatBank, Oschadbank, Ukreximbank and Ukrgazbank) while offering indications for the broader evolution of the banking sector in general. There is nothing inherently bad about state ownership of banks, but there are numerous global trends worth taking into account when assessing the current situation in the Ukrainian banking industry and the plans for the future development of the country’s state-owned banks. In many cases, governments specifically identify why state ownership of particular banks is necessary. This could refer to some kind of unique public benefit that private banks cannot provide. A good example would be development banks which invest in long-term infrastructure development projects. There are also a number of risks traditionally associated with state ownership of banks. Although individual circumstances differ, it is widely held that the state remains a less competent owner than the private sector. Governments can finance national budgets and state-owned enterprises through state-owned banks. They can also misuse state-owned banks to finance the businesses of individual politicians in instances of “state capture”. There are indications that these risks are relevant to the Ukrainian banking sector. Ukrainian state banks do have a higher proportion of bad loans compared to private banks, while the country’s state-owned banks are indeed active lenders to state-owned enterprises such as Naftogaz, Energoatom, and Energorynok. They do purchase government bonds used to finance the budget deficit, and sometimes finance businesspersons close to politicians. In terms of numbers, we can also point to USD 10 billion spent to finance the recapitalization of Ukraine’s state-owned banks over the last 25 years using taxpayer money. These issues have helped to convince many observers that the risks of state ownership outweigh the potential benefits in today’s Ukraine, especially given the notably high market share of banks that are currently state-owned. It is therefore not surprising to see that some form of privatization is widely viewed as the best long-term solution. This the central goal of the strategy adopted by Ukraine in early 2018 for the country’s state-owned banks. Ukraine’s strategy for banks under state ownership does not envisage full privatization for all four banks. The government plans for the 100% privatization of PrivatBank and Ukrgazbank, while at the same time planning to retain partial ownership of Oschadbank and Ukreximbank. According to the roadmap laid out in February 2018, Ukrgazbank will be sold by 2020 while PrivatBank will be privatized by 2022. A 20% stake in Oschadbank is set to be sold by 2020 to an international financial organization, with a further 25% due to be sold via IPO. In line with the updated plans, a 20% stake in Ukreximbank is expected to be sold by 2021. The government has also formulated the goals for Ukraine’s state-owned banks. Key priorities include fuelling the country’s continued economic growth and increasing access to loans in strategically important sectors of the economy. Additional goals include boosting levels of financial inclusion and increasing the share of cashless transactions in the Ukrainian economy. The government has formulated specific priorities for separate banks. For PrivatBank, the priority segments are retail as well as small and medium-sized enterprises. The goal for Oschadbank is to retain its position as the country’s top universal bank. For Ukreximbank, two alternative strategies have been developed, either retaining its current business model or focusing more specifically on export-import operations. Meanwhile, Ukrgasbank will develop services in the ecobanking sector. The current reform strategy for Ukraine’s state-owned banks also includes plans to improve corporate governance within the banks themselves. A number of specific measures to help achieve this goal were included in a draft law which the Ukrainian parliament failed to support in March 2018. This failure was due to the fact that many parliamentary deputies from within the ruling coalition itself did not vote for the draft law. Despite this setback, the government is currently preparing for another attempt to get the law adopted. Introduction of independent supervisory boards at Oschadbank and Ukreximbank will be one of the key steps in the envisioned corporate governance reform of Ukraine’s state-owned banks. If fully implemented, this reform aims to minimize the impact of political forces on the daily operations of the country’s state banks. To summarize, I can say that the updated national strategy adopted in early 2018 is positive step towards the reform of Ukraine’s state-owned banks. However, it is important that the intentions outlined in this document translate into real actions. As we saw in March, initial efforts to pass a law on the corporate governance of state-owned banks ended in failure due a lack of the requisite parliamentary support. This highlights the importance of political will. However, there is reason to hope that the government’s ambitious reform plans will get back on track and allow Ukraine to realize the privatization plans it has for the country’s state-owned banks.